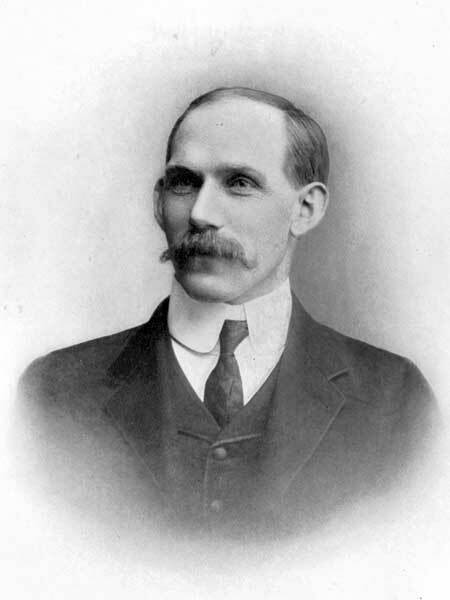 Contractor, Mayor of Winnipeg (1904-1906). Born in County Sligo, Ireland on 14 March 1866, son of Michael William and Jane Sharpe, he was educated at National and Parochial schools. After an apprenticeship as a mason, he became clerk in the Provincial Bank of Ireland, in 1880. He came to Toronto, Ontario in 1885 where he engaged in pavement contracting. He came to Winnipeg in 1892 and served as a Winnipeg City Alderman from 1899 to 1904. He was Chairman of the Board of Public Works for three years and Mayor of Winnipeg from 1903 to 1905. In 1911, Sharpe was a partner in the firm of Sharpe & Colledge, Sargent and Kennedy Streets, Winnipeg. In 1887, he married Mary Jane Cathcart (c1870-1922) of Toronto. They had eight children: William C. Sharpe (1891-? ), Ethel May Sharpe (1894-1929, Mrs. S. L. Woods), Margaret Ellen Sharpe (1896-?, Mrs. D. W. Campbell), Alice Maud Sharpe (1901-? ), Olive Mary Sharpe (1903-? ), Nora Evelyne Sharpe (1908-? ), George Edward Sharpe (1909-? ), and Robert Allan Sharpe (1910-?). He was a Conservative candidate for the Winnipeg West constituency in the 1907 provincial general election. He was a member of the Carleton Club, Adanac Club, Loyal Orange Lodge (Grand Master, 1907-1908), Clef Club, and AF & AM. Recreation: hunting. Conservative; Presbyterian. Address: Kennedy and Qu’Appelle, Winnipeg. He died of a heart attack on 10 May 1929, while driving with his son to Lac du Bonnet for a fishing trip.